Bring the tools to the car! 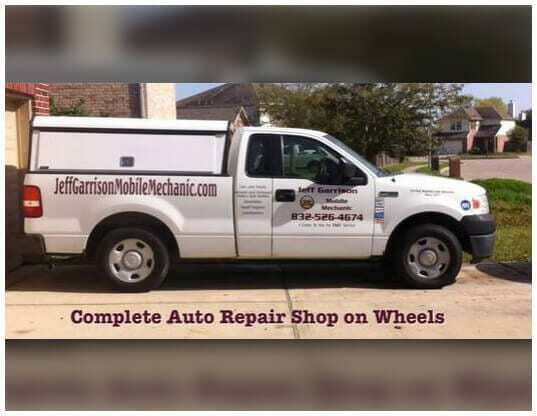 Jeff Garrison – Mobile Mechanic takes the stress out of auto repair issues by responding to calls and servicing them quickly to get you back on the road. 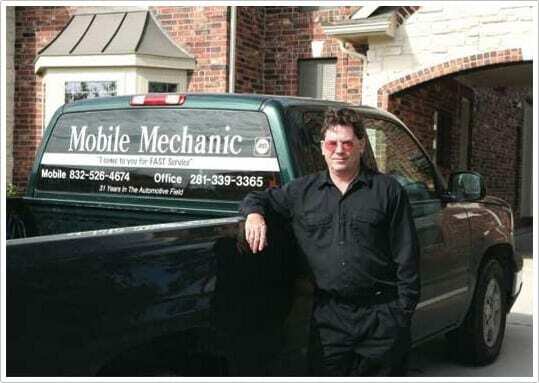 Jeff Garrison saves the overhead of maintaining a storefront so this personalized come-to-you mobile mechanic service is no more expensive than an auto repair shop, and it is often less expensive. Call Jeff to come to your home, your workplace, or wherever your car has broken down. Jeff has over thirty years experience in the automotive field and has been offering mobile mechanic services since 1997 to many happy customers. Jeff responds to all phone calls and usually offers same-day service. Late afternoon and evening calls can generally be scheduled for the next day. Problems can usually be diagnosed over the phone with price estimates given. If you get his voice mail leave a message and Jeff will respond quickly. Located in the southeast Clear Lake area, Jeff is happy to travel throughout the Houston, Galveston, and Surfside areas, but extra charges may apply outside of his primary service area. "Jeff came out to look at my vehicle the day after I called, and even called a couple of days later to check on the vehicle! He is very knowledgeable about vehicles and friendly and helpful as well. Thanks!!" "I have used Jeff's services four times in the last 7 years. And have always been more than satisfied with the work done. He responds quickly, is knowledgeable and will answer any questions you may have about what he is doing and why,, should you want to know. I highly recommend him and trust him with my vehicle completely. If ever needed, I will definitely call him again before anyone else." "My F250 broke down on Hwy 96 in League City. I found Jeff's number on YELP. Gave him a call and he was there within 30 minutes! Replace my starter within 45 minutes! Great guy and knows his business. I have already and will recommend Jeff to all my family and friends in the area. Thanks again Jeff!" "He was very professional and fairly priced. He was very helpful with my decision making."